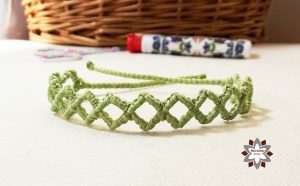 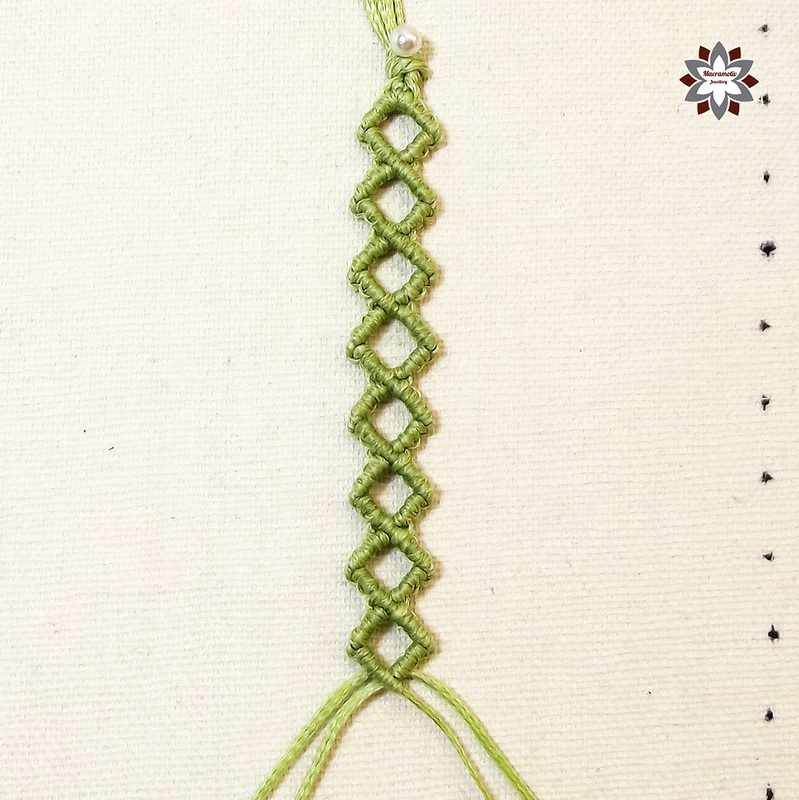 This macrame squares bracelet can be made with only 4 cords, there is slightly little difference between this and the spiral bracelet. 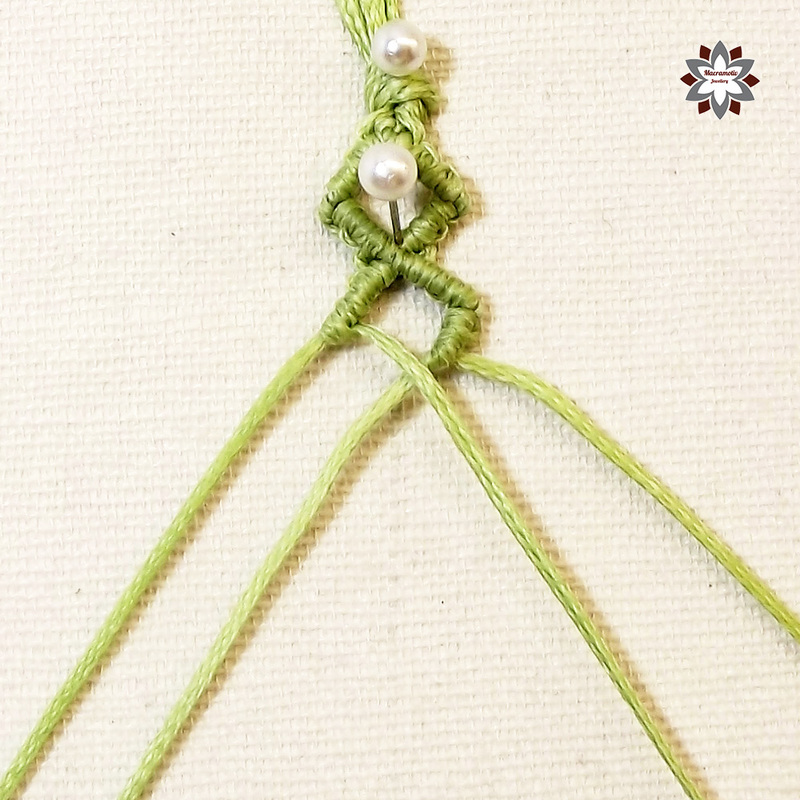 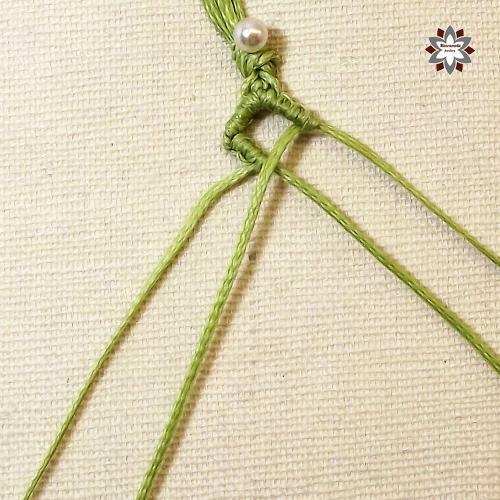 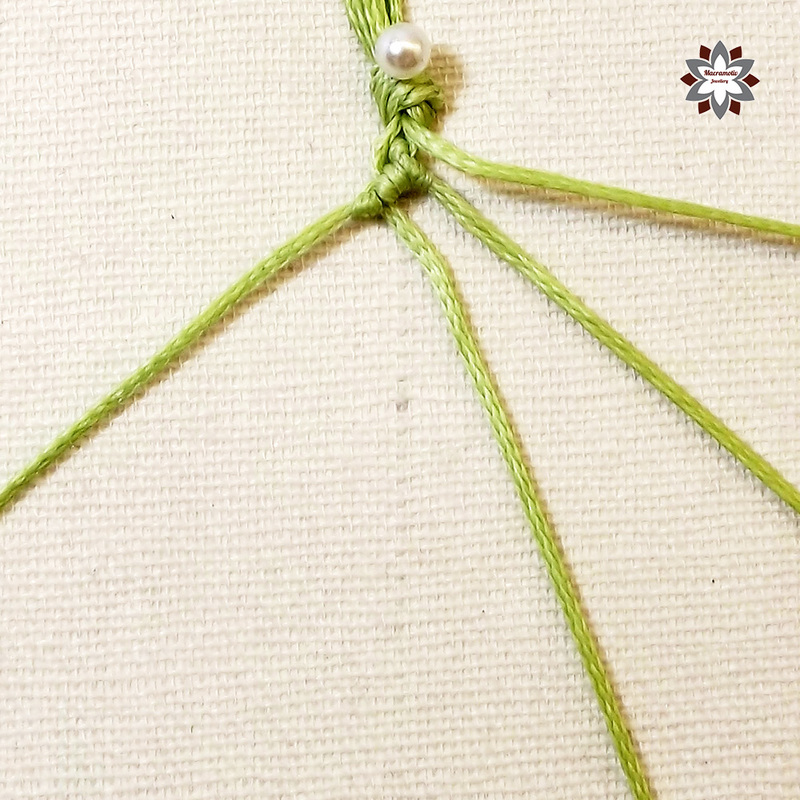 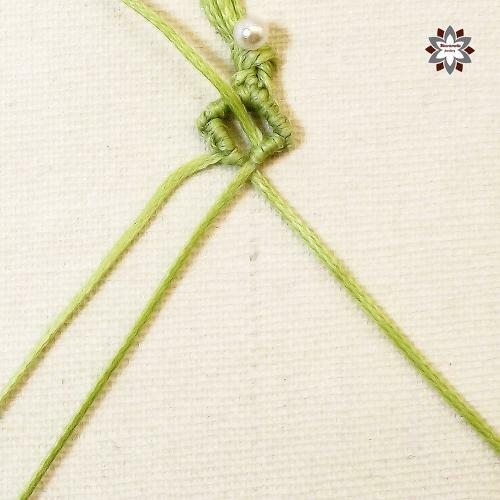 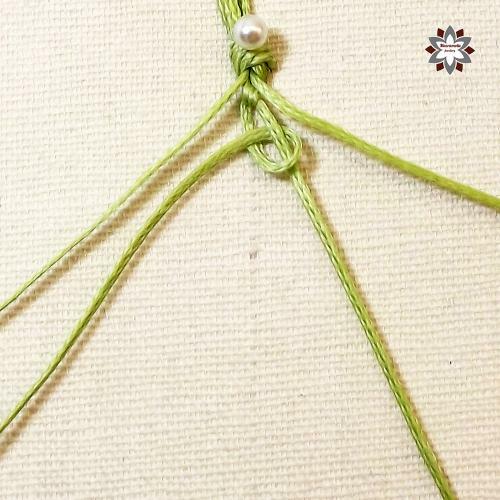 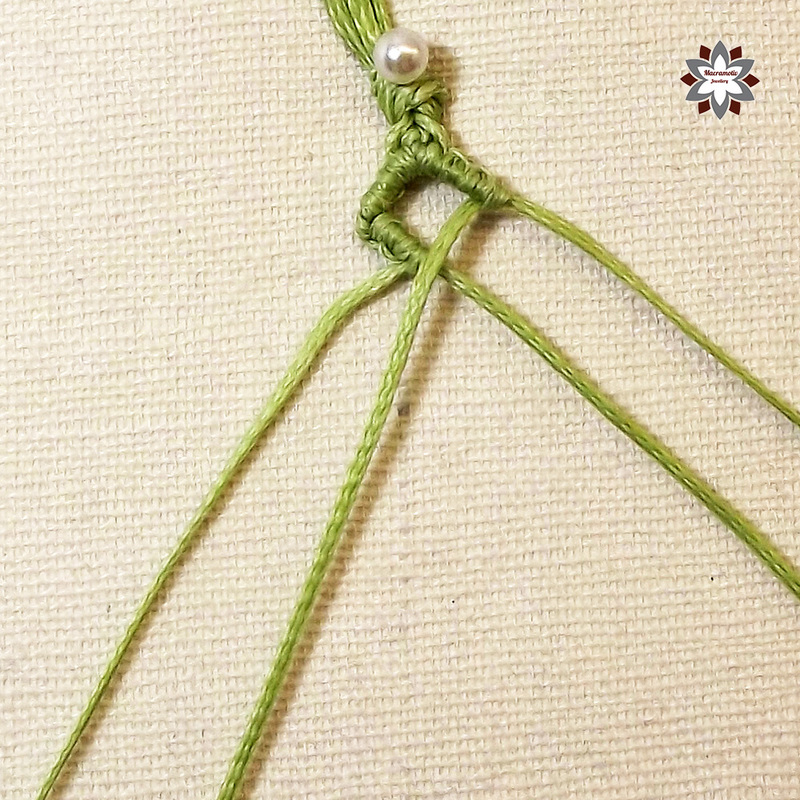 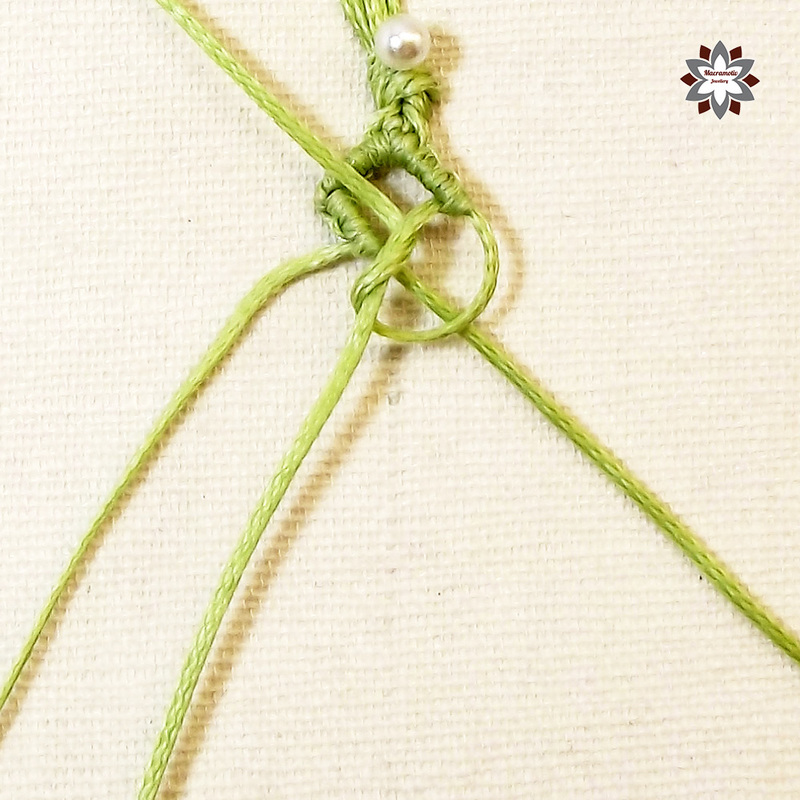 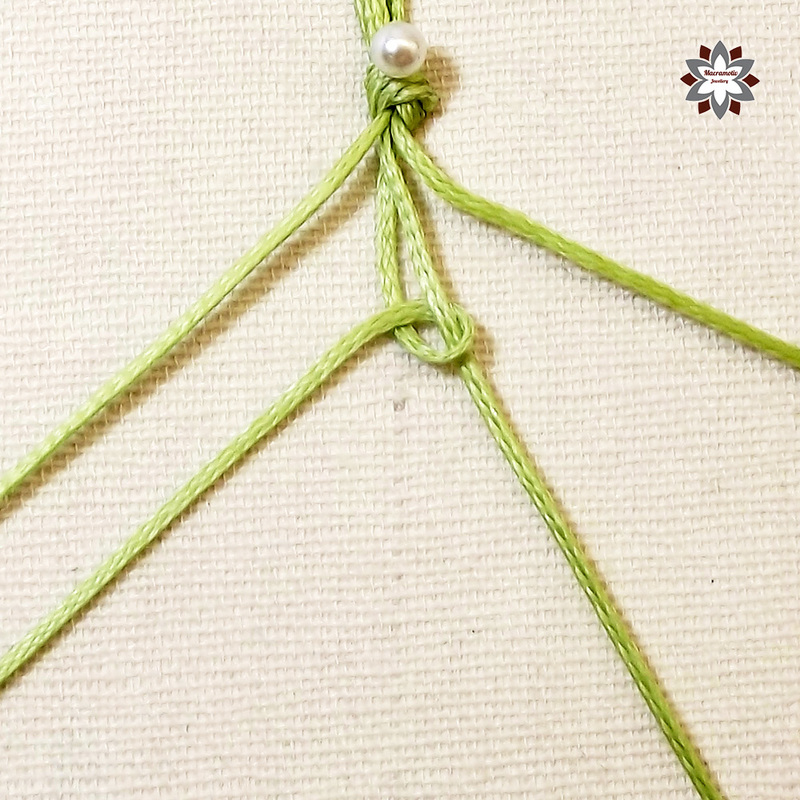 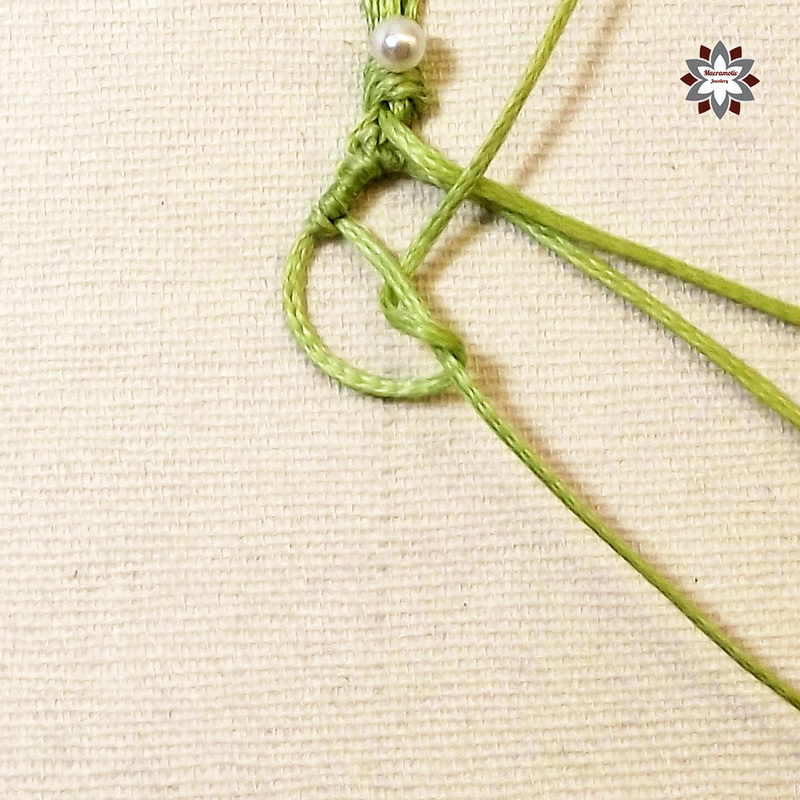 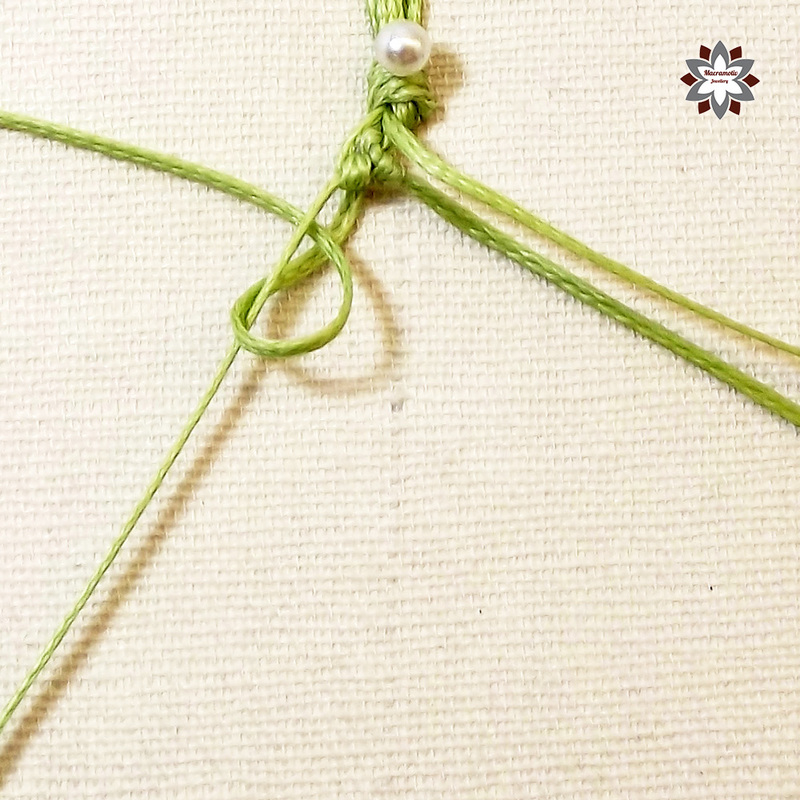 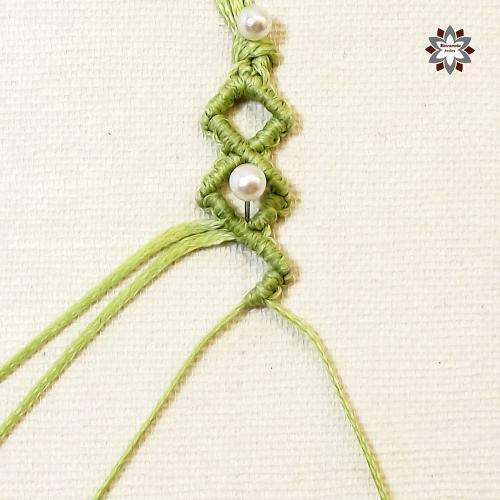 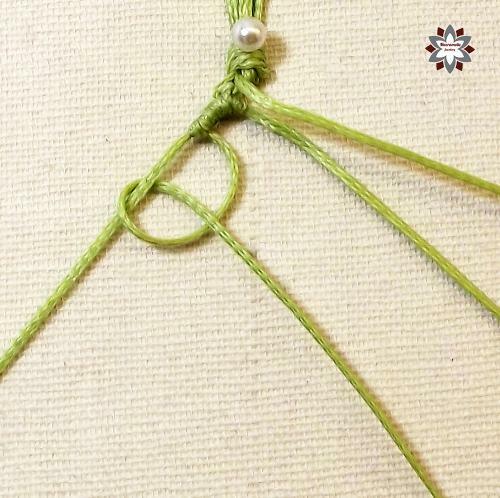 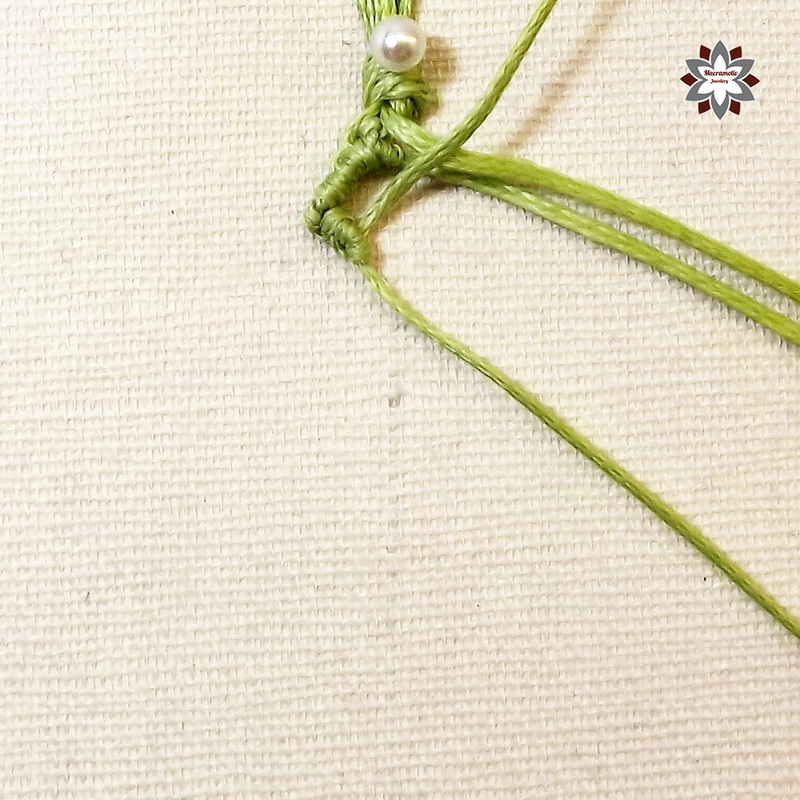 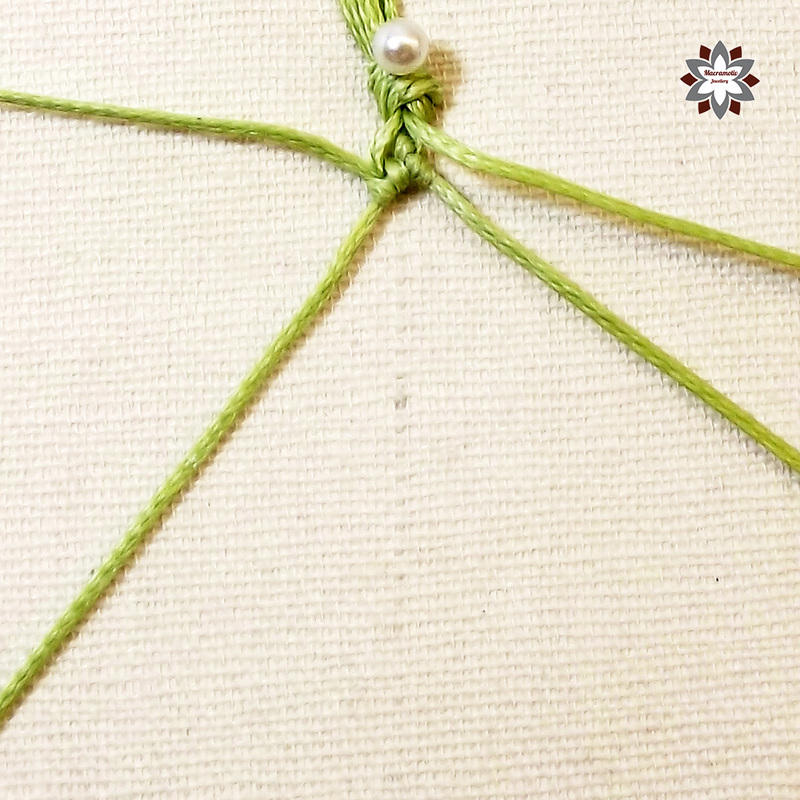 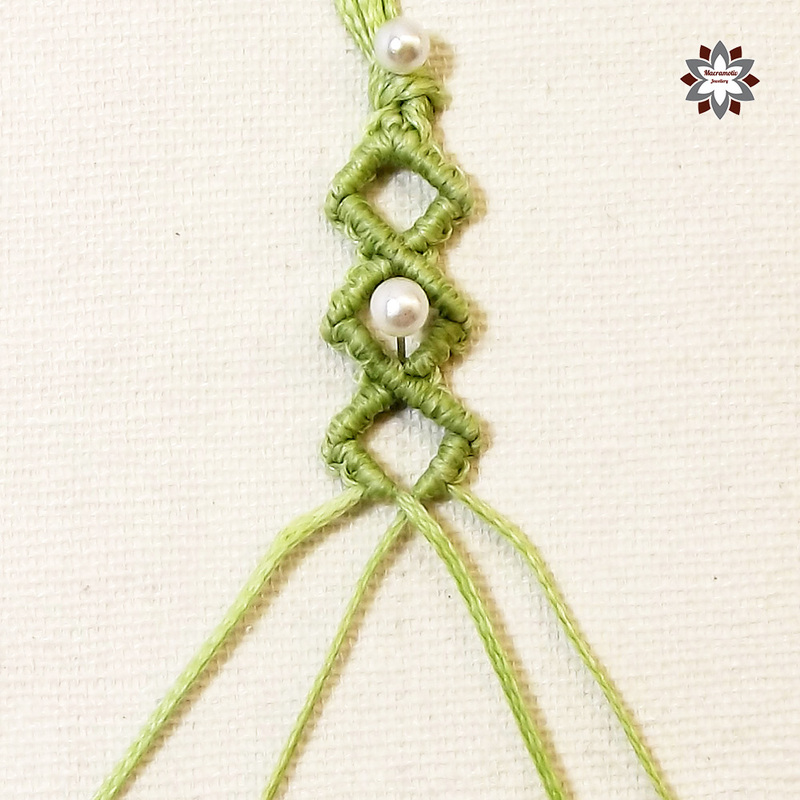 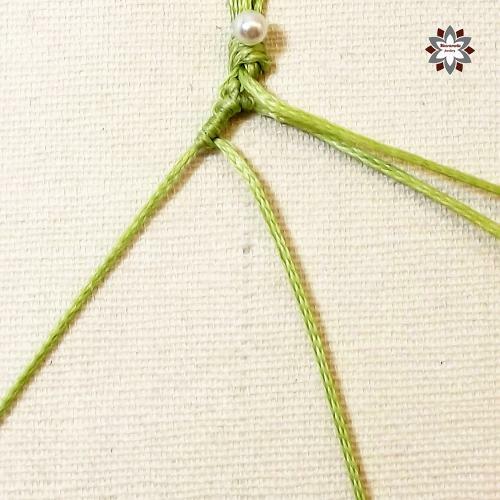 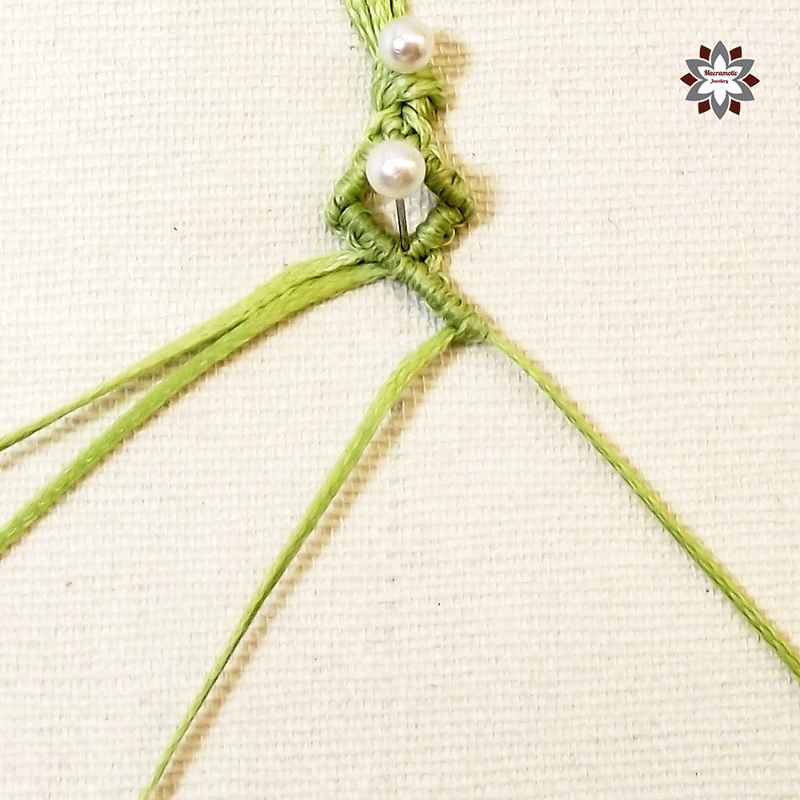 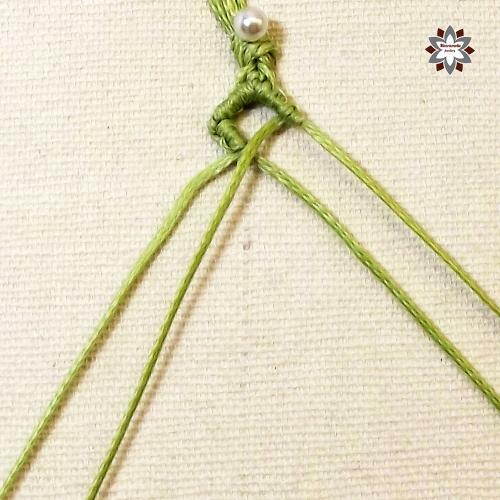 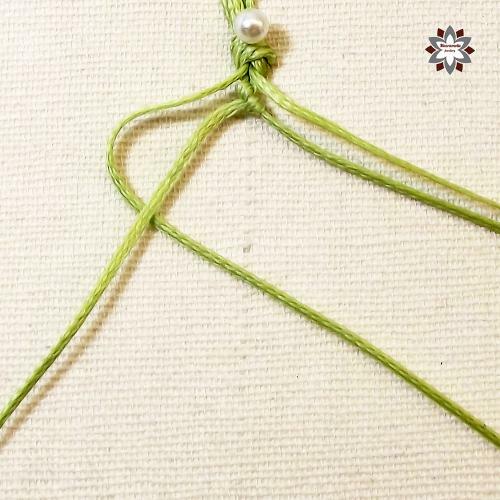 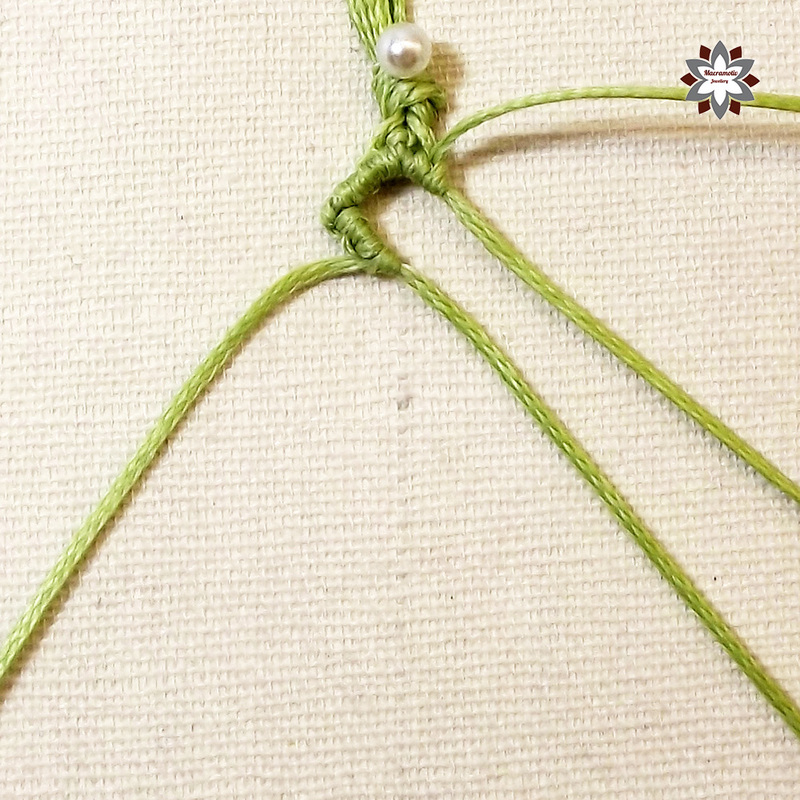 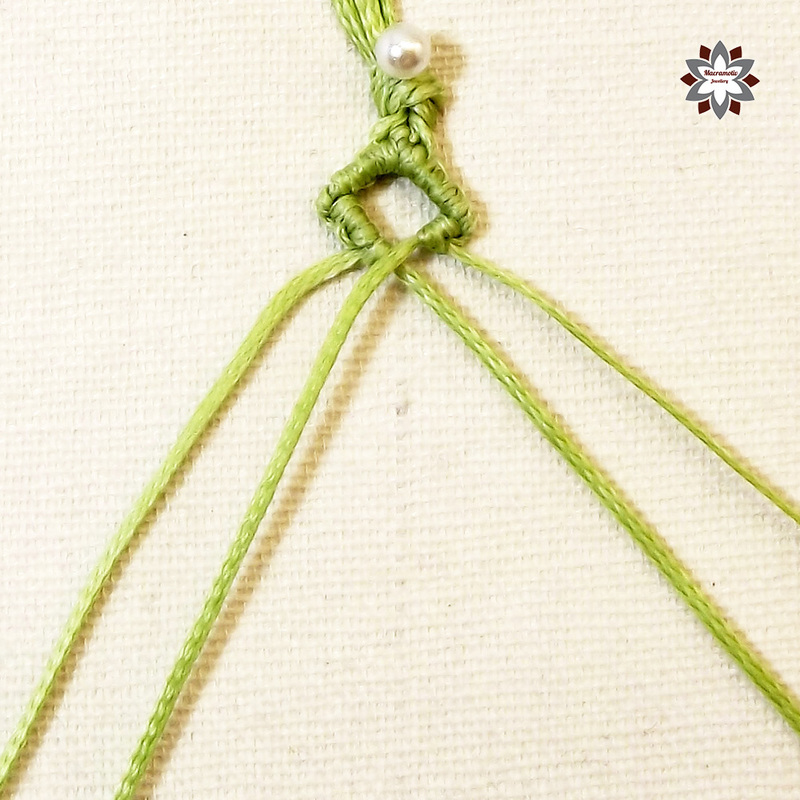 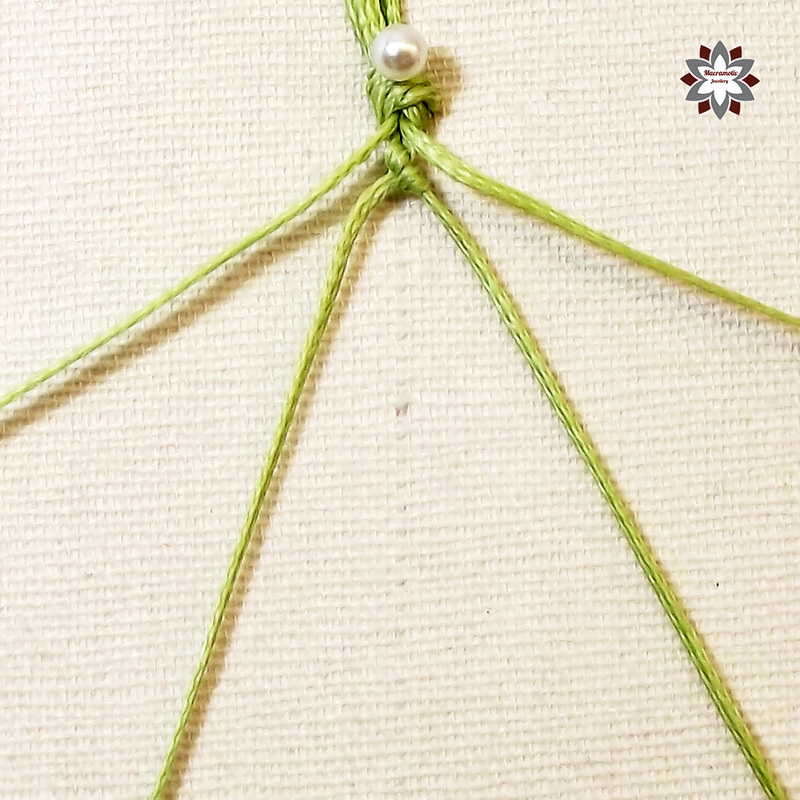 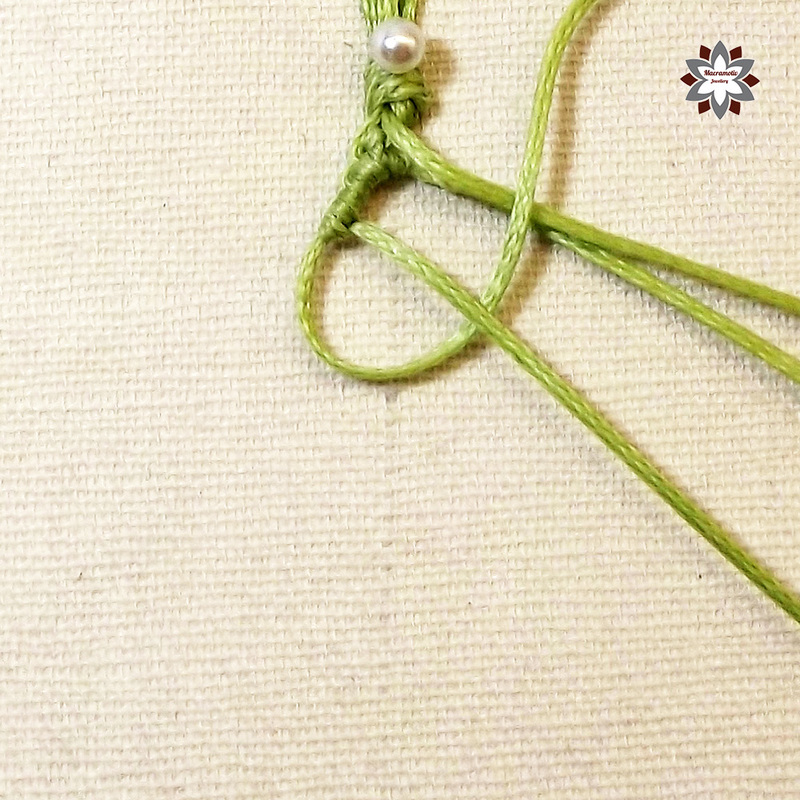 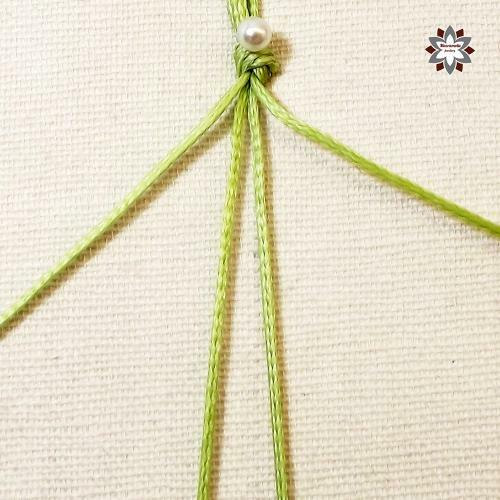 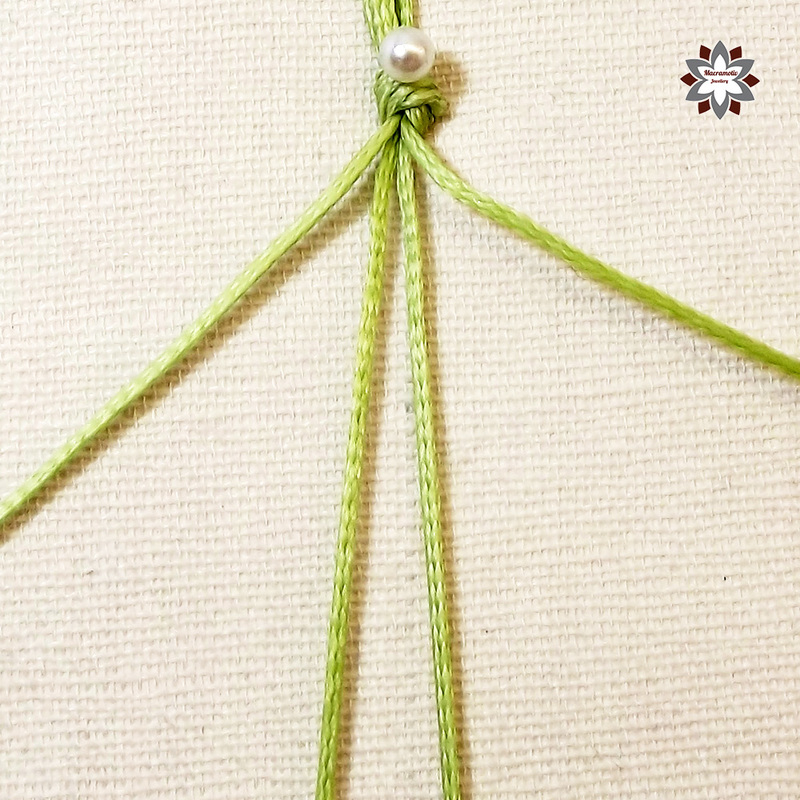 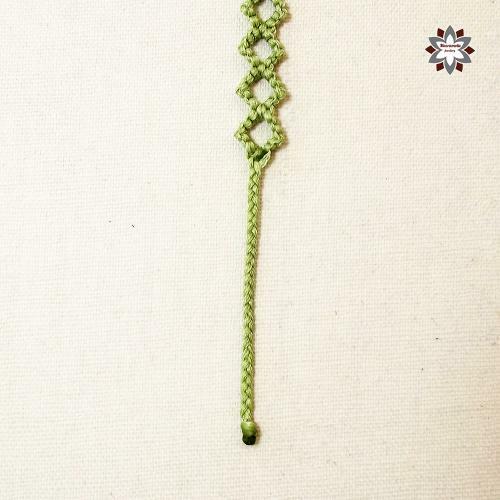 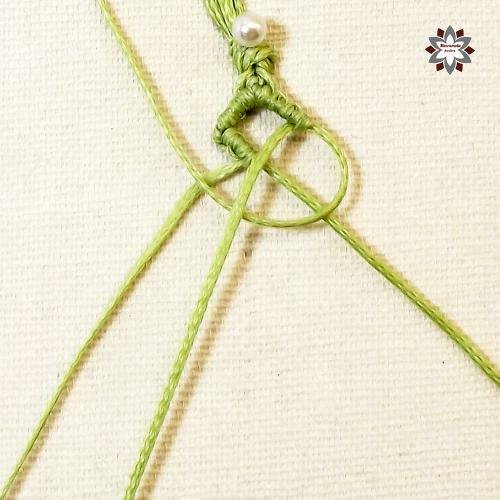 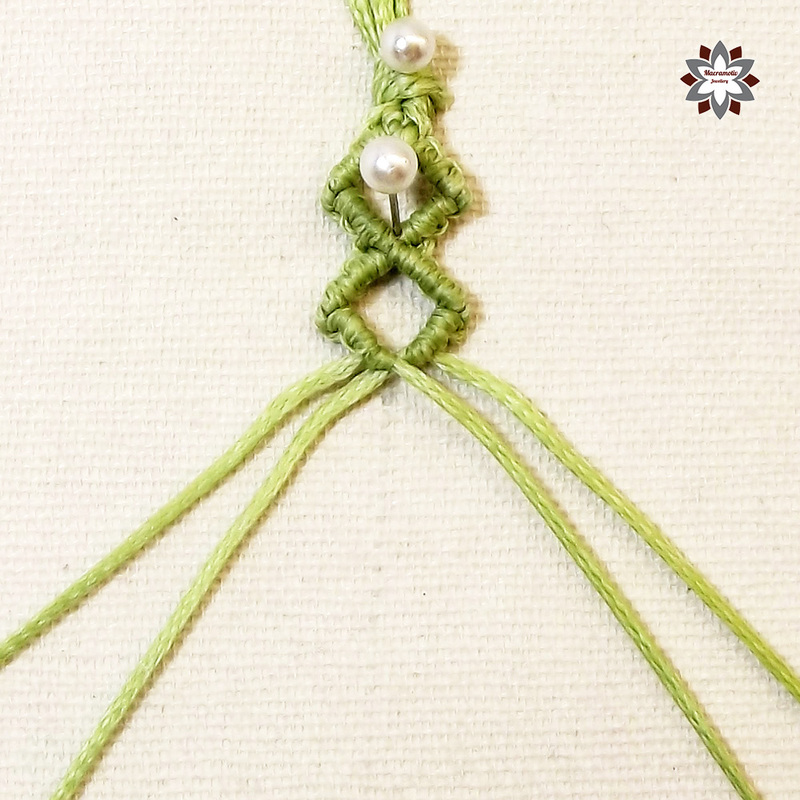 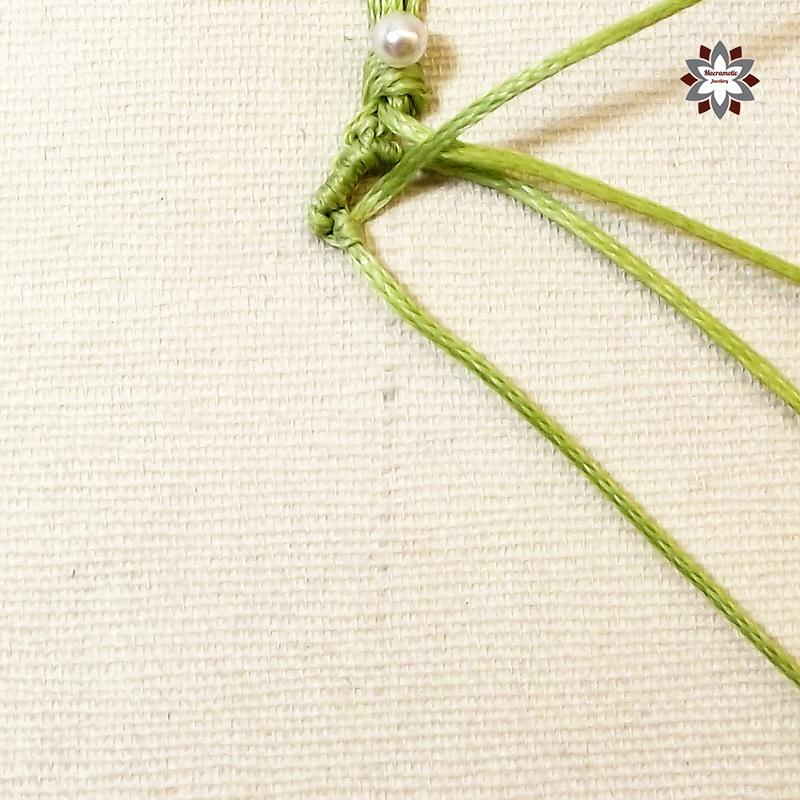 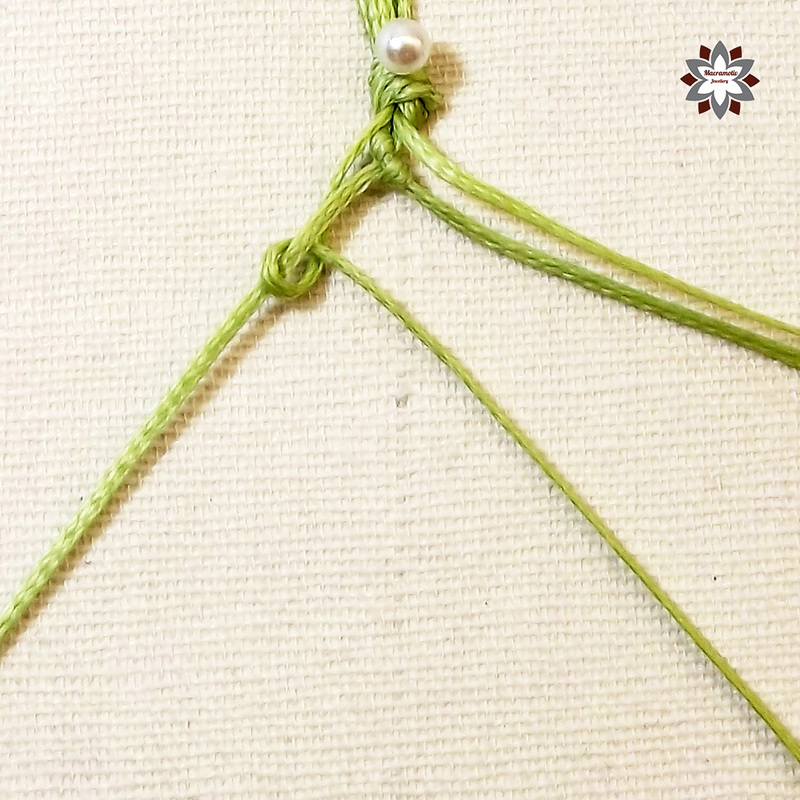 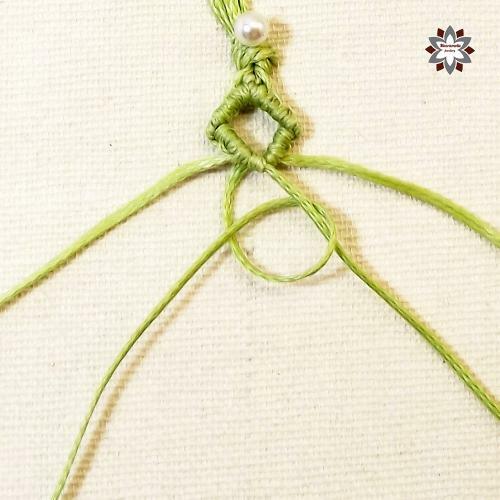 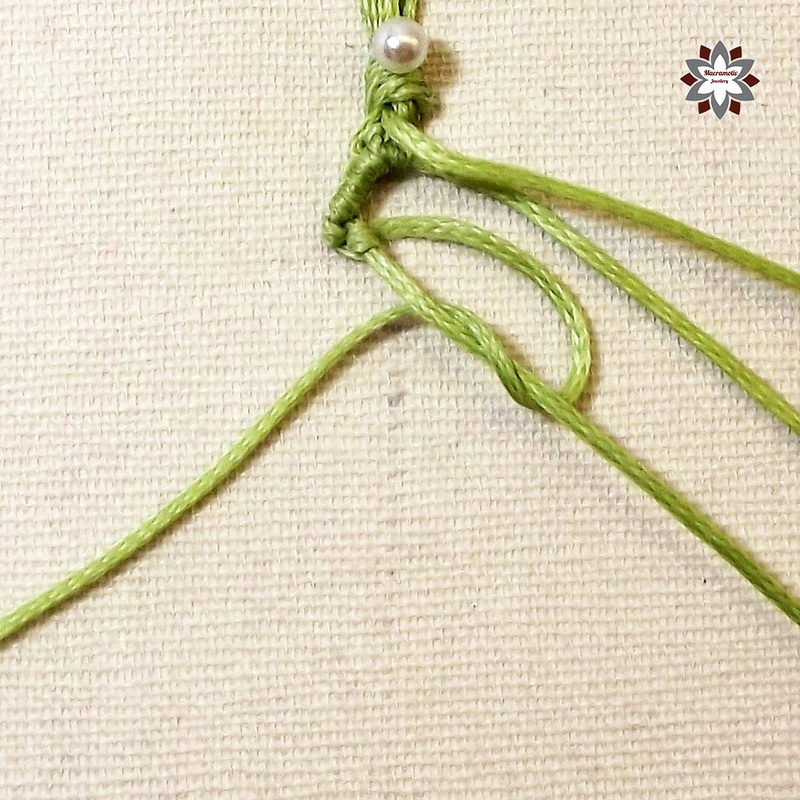 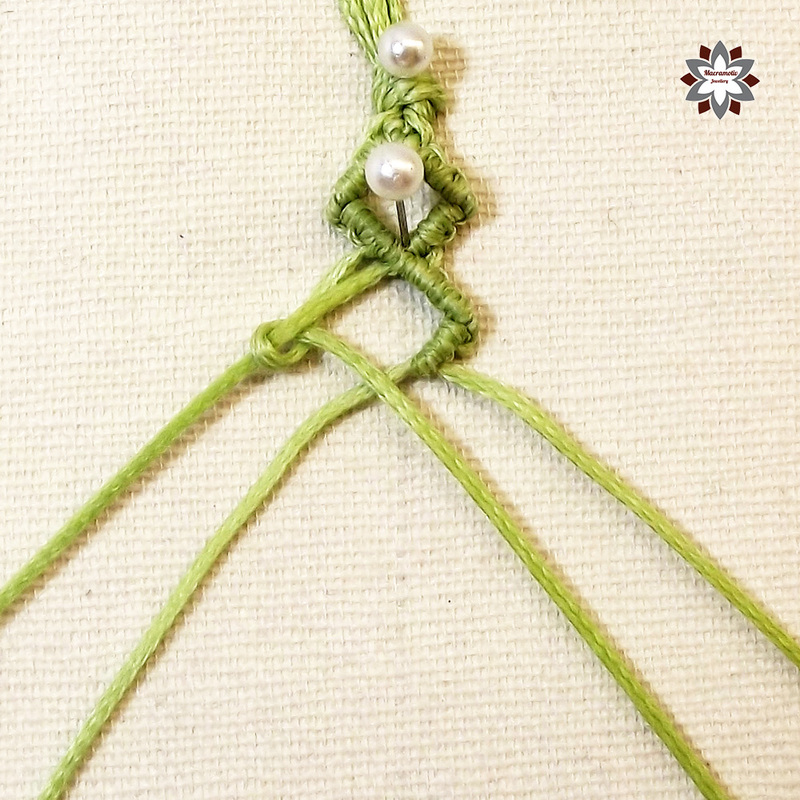 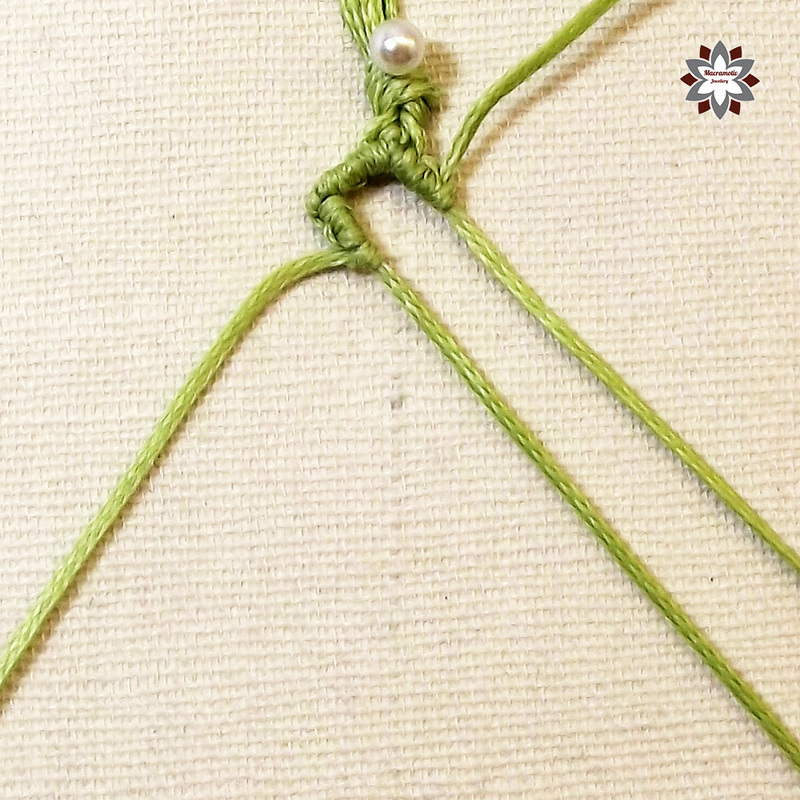 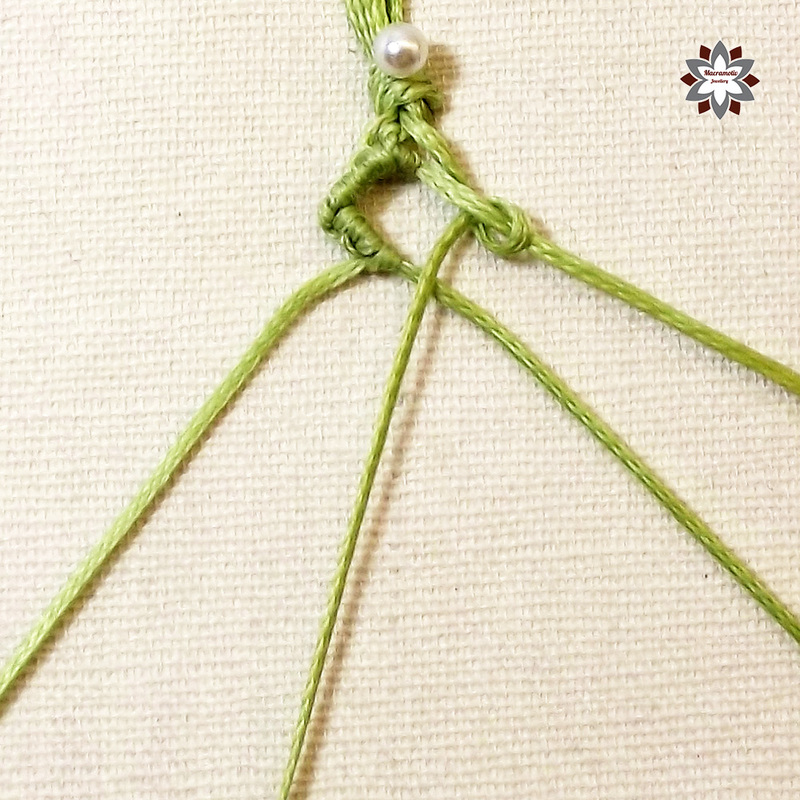 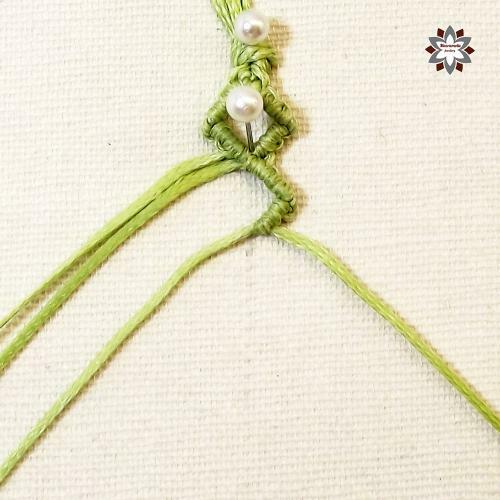 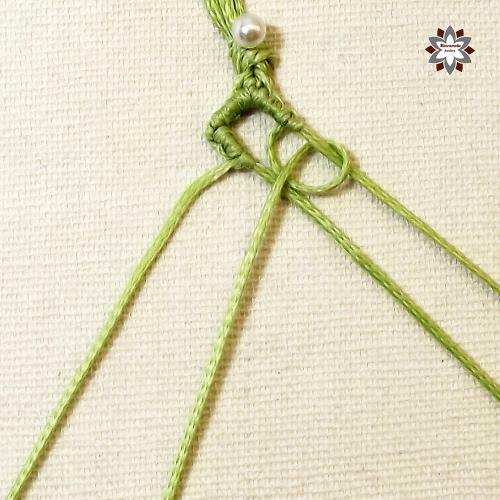 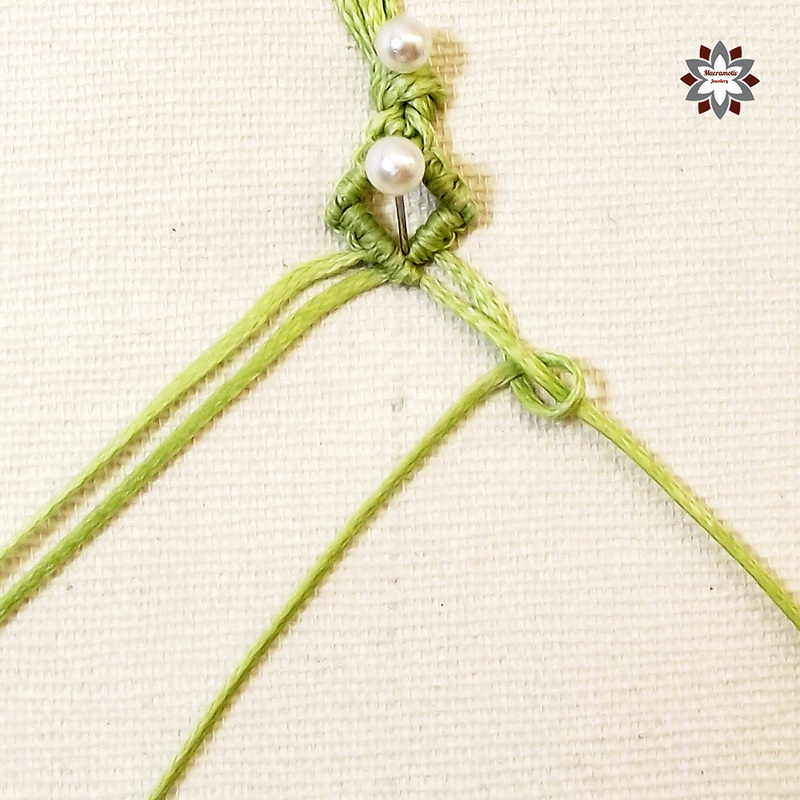 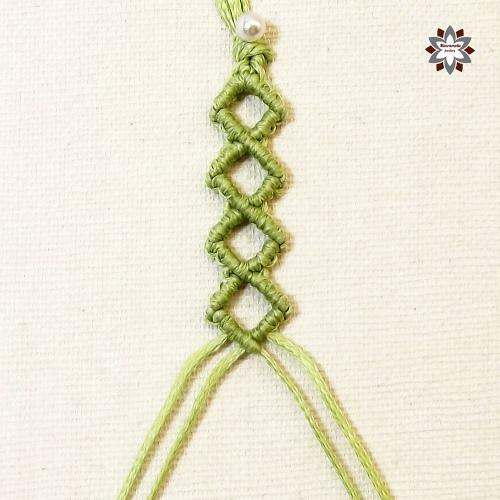 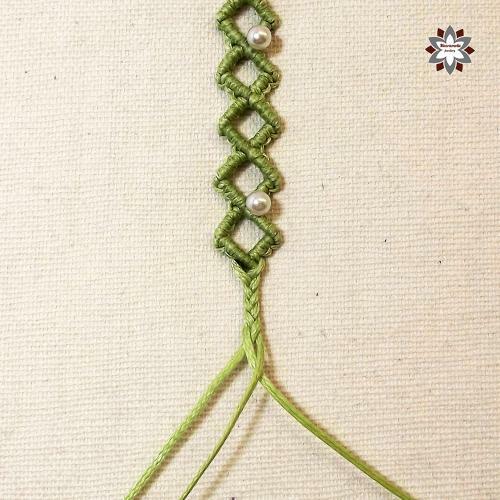 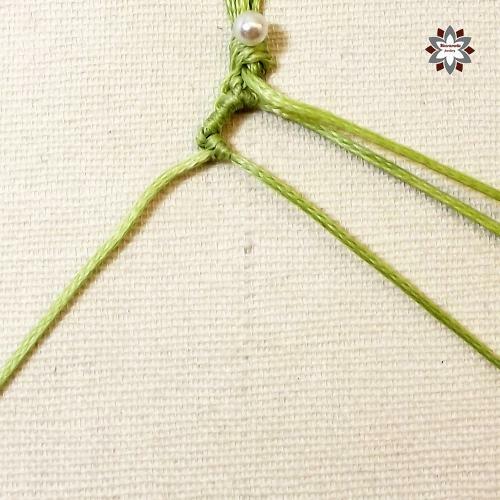 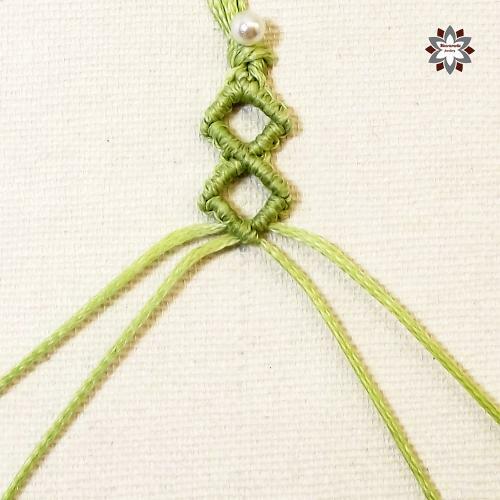 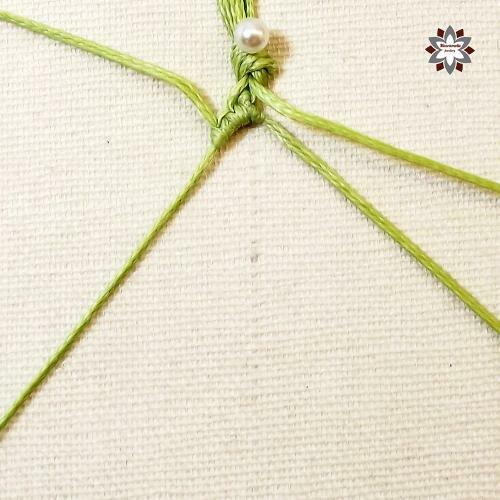 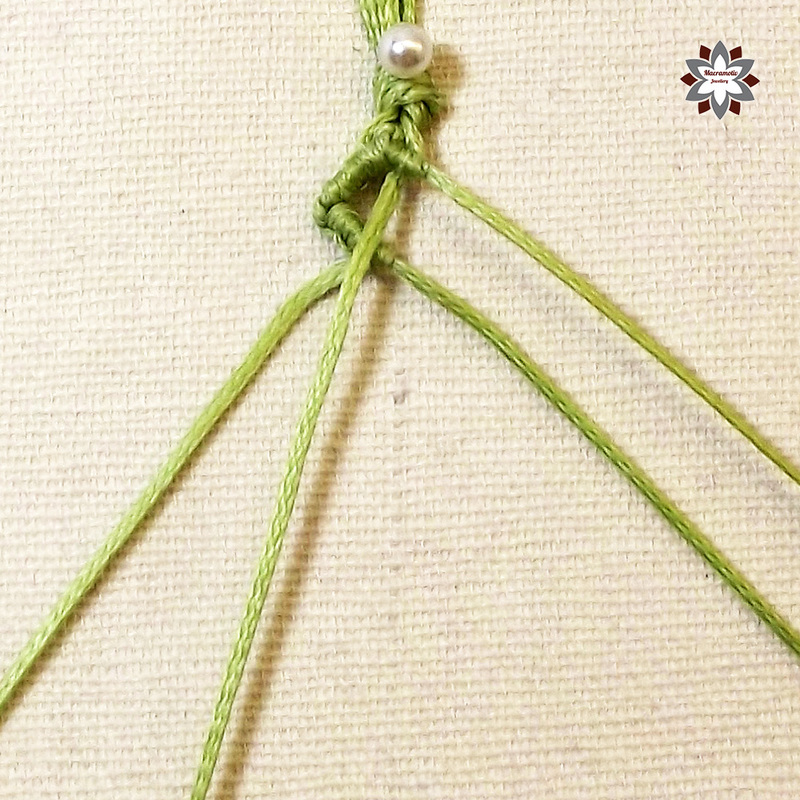 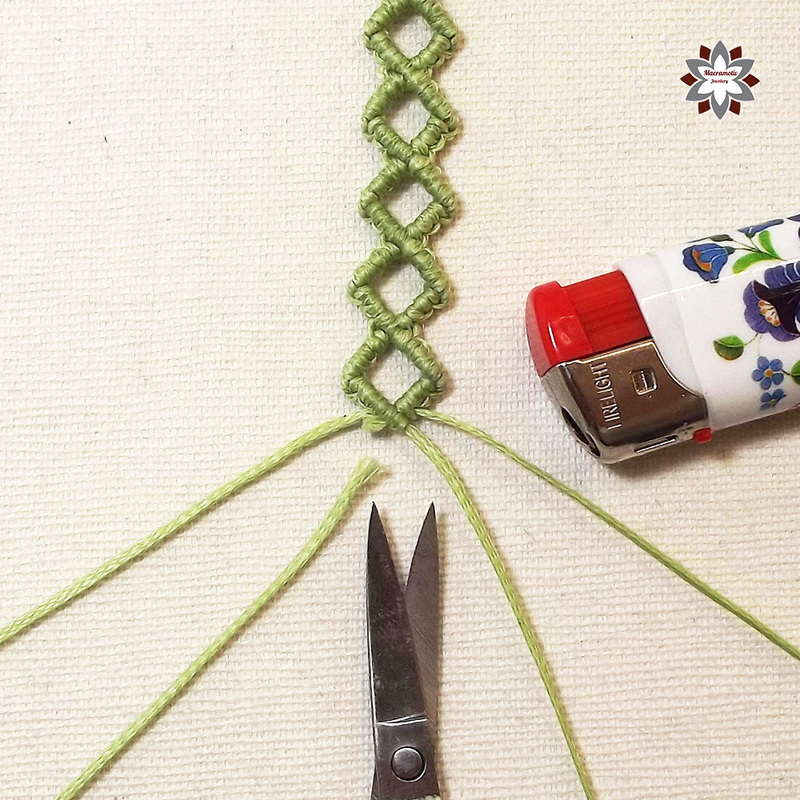 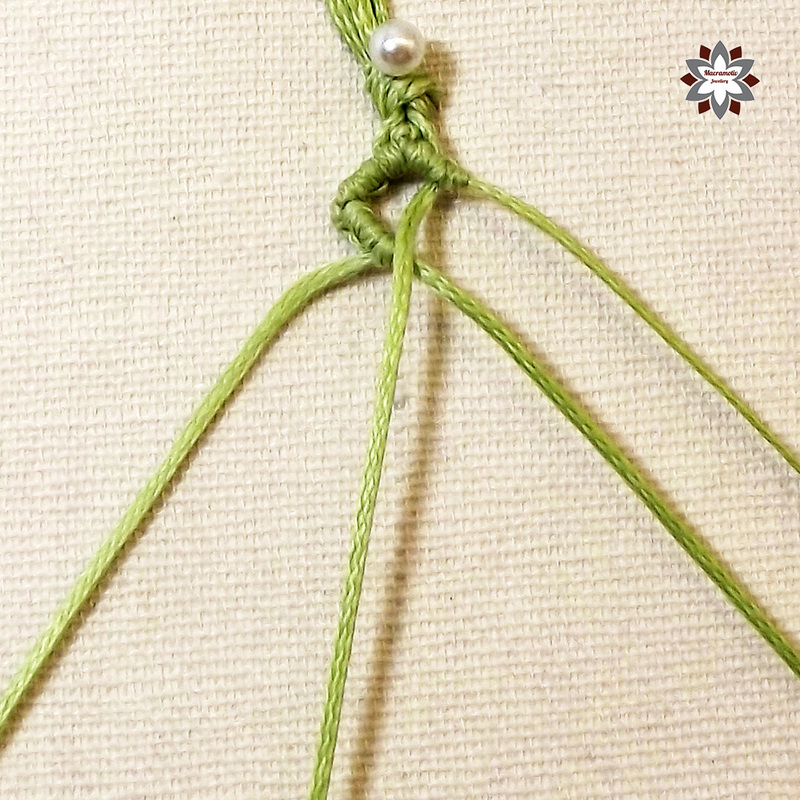 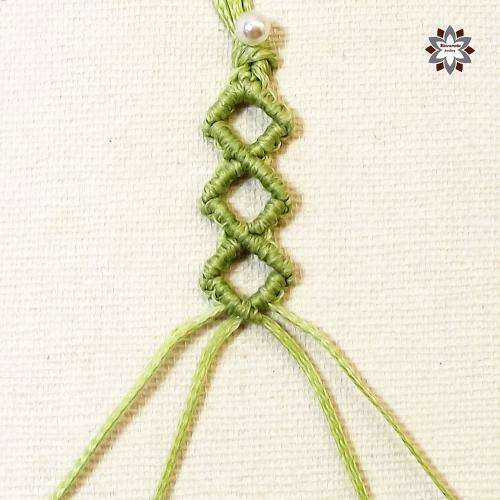 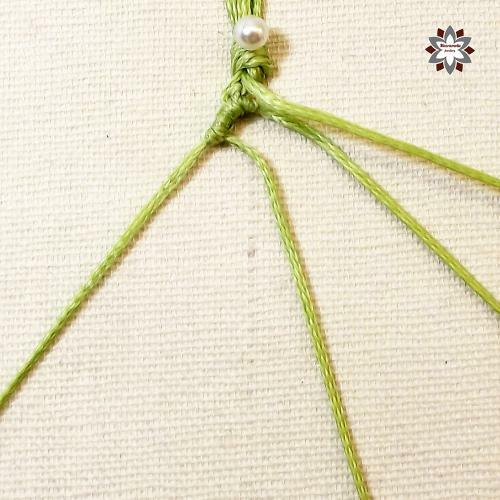 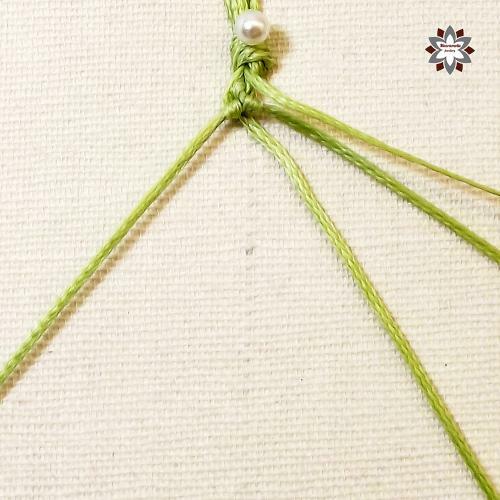 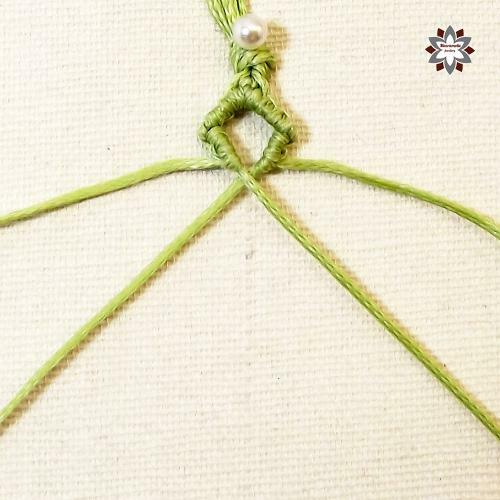 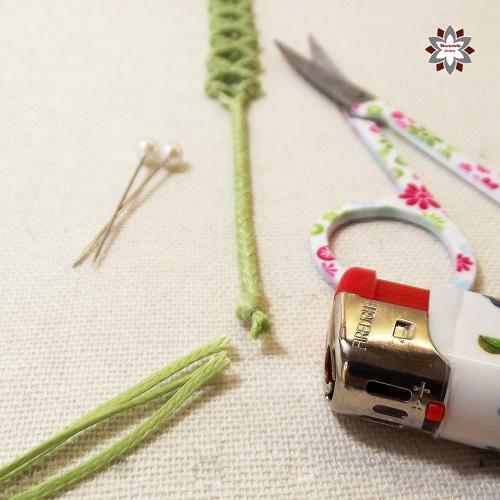 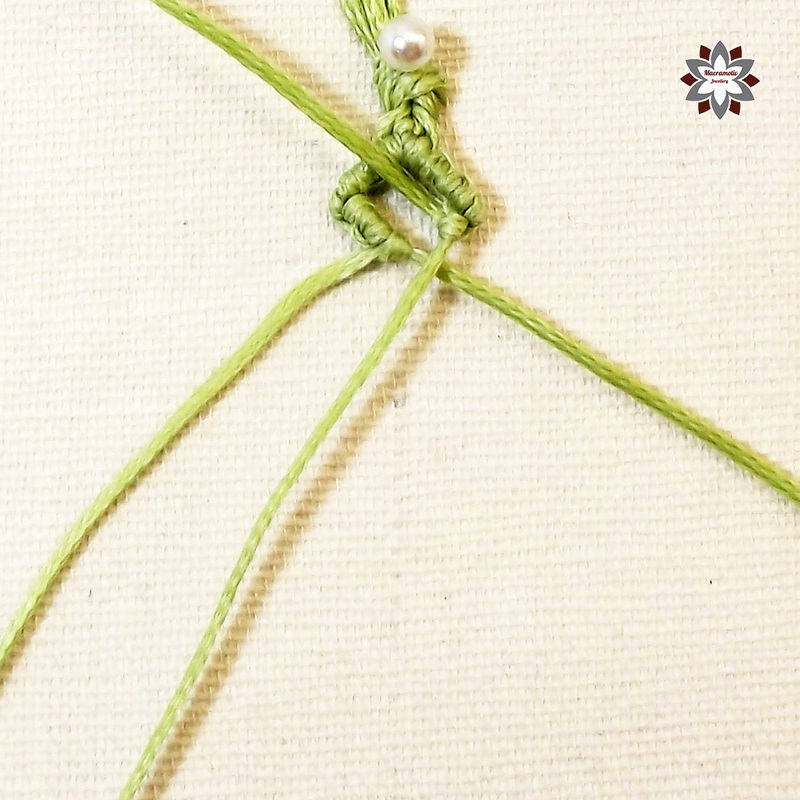 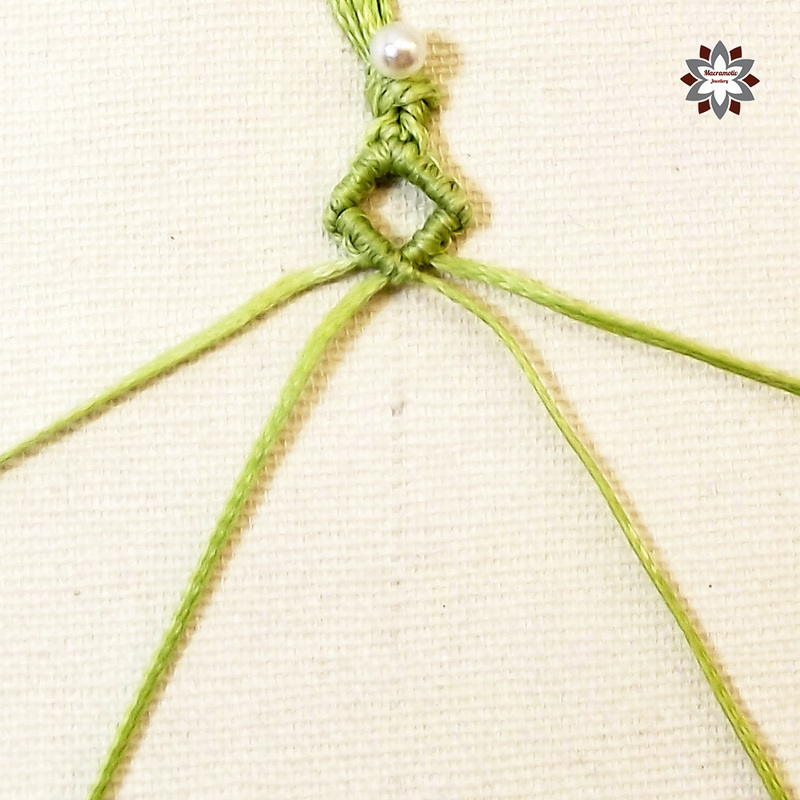 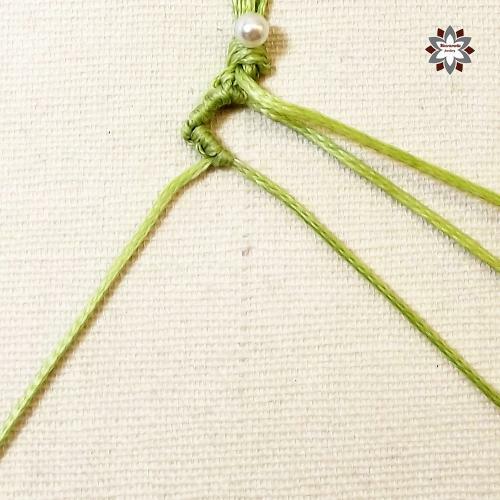 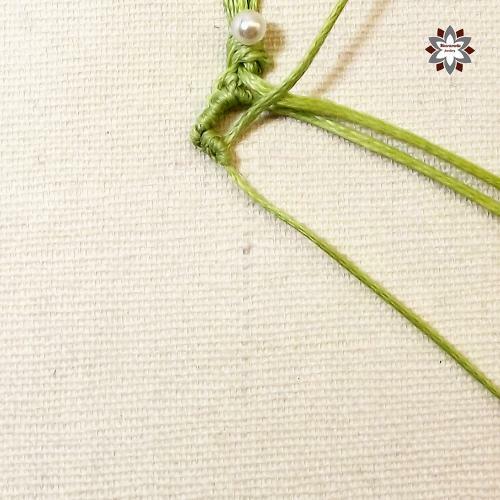 This is a useful basic technique which can help sometimes in your complex macrame pieces. 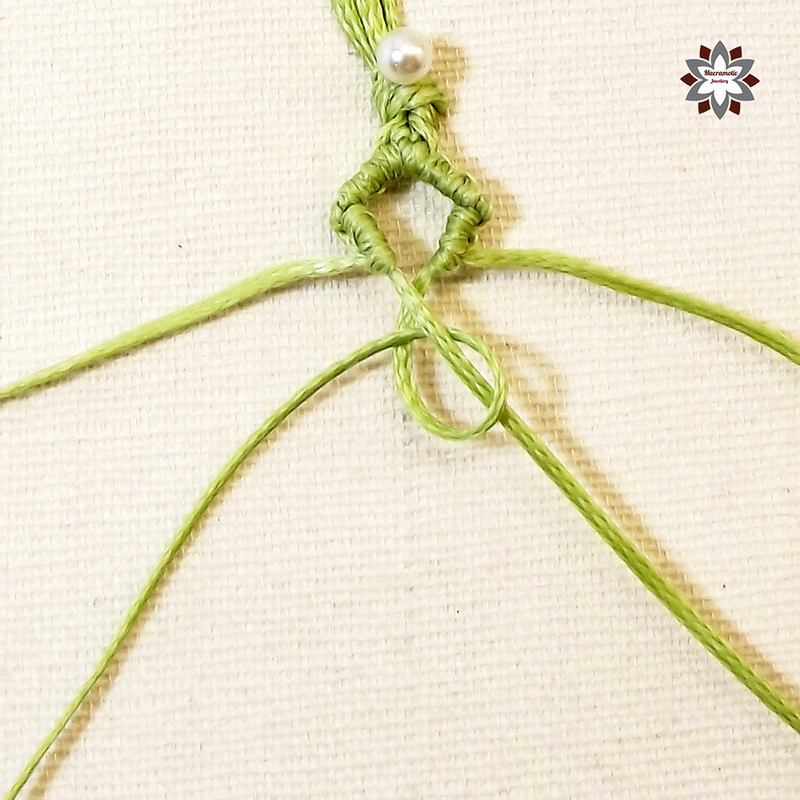 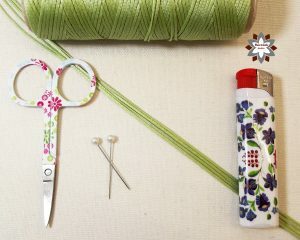 I started with the two cords in the middle then I knotted 6 half hitches each side, then turned with interchanging the cords and knotted 4 half hitches each side, and at last I connected the sides and repeated these steps again until I reached the desired length. 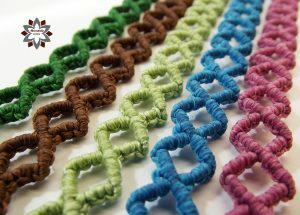 I used 1mm turkish braided waxed polyester cord for this project.